"it is HAPPENING" again is intended to be and ideally should be experienced as one continuous 78-minute audio assemblage. For the listener's convenience and to make available access points within the assemblage I have broken the assemblage into four sections at arbitrary points and have assigned titles to the parts. Also, the entire 78-minute piece exceeds Bandcamp's upload limits, dammit! spoken word poems and texts, instrumental improvisations, sounds from Apartment Music shows #32 and #33, Stanley barking (no kidding! 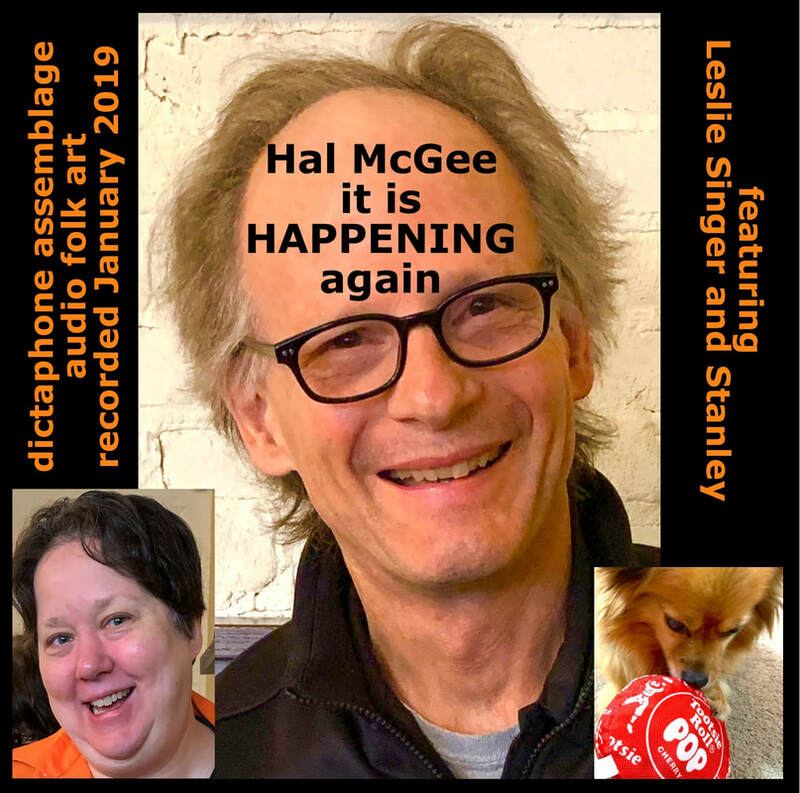 ), me (and Leslie) taking Stanley on walks, conversations, restaurants, sounds from my job, watching some of Leslie's videos from the 1980s, gadgets and noisemakers, Jiblit Dupree and Leslie jamming on guitars, excerpts from Girls On Fire's first new performances in more than three decades, Leslie reading her recollections of the Apartment Music shows, construction sounds, emergency vehicles, and much more! Thanks to Adam Naworal for his funny spoken contributions about "collages within collages!